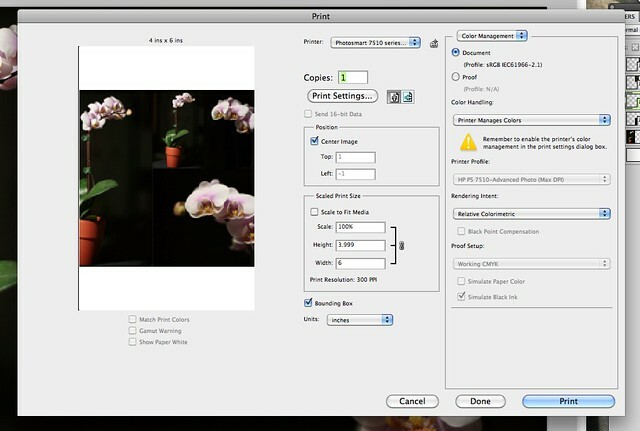 If you print photos at home, like we do, one of the most useful things to learn to do in Photoshop is to create Picture Packages. Picture Packages allow you to have multiple photos on one page, as you would receive from a portrait studio or a school photographer. 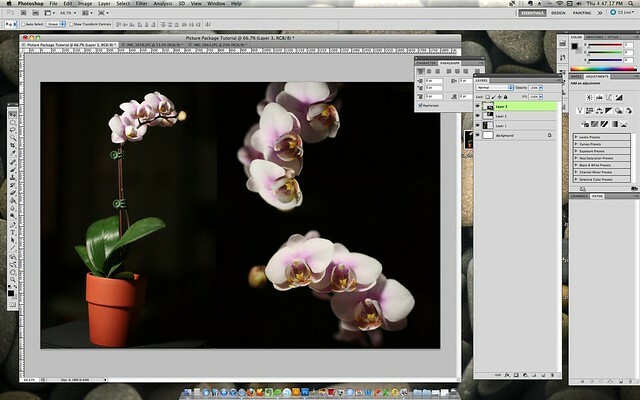 Picture Packages were one of the first things I wanted to learn when I started using photoshop Photoshop. 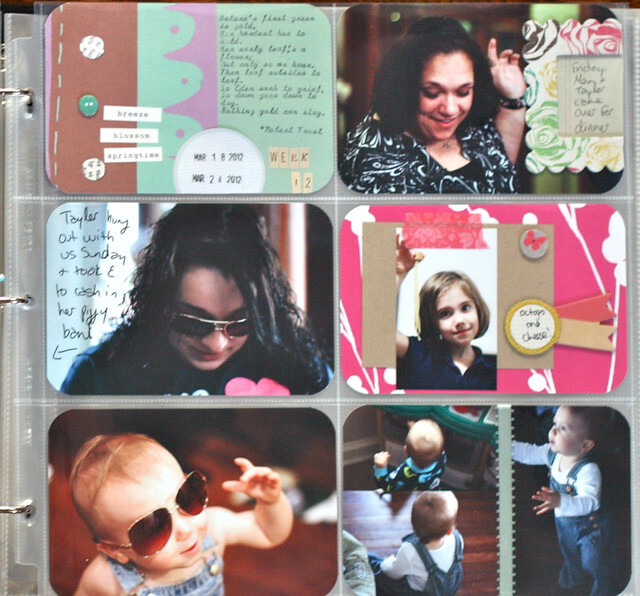 I wanted to be able to print in multiple sizes for scrapbooking layouts. This is now one of my most used techniques. Photo paper is expensive, so I want to fit as many photos on each sheet as I can (as I did on the 8.5×11 sheet above). 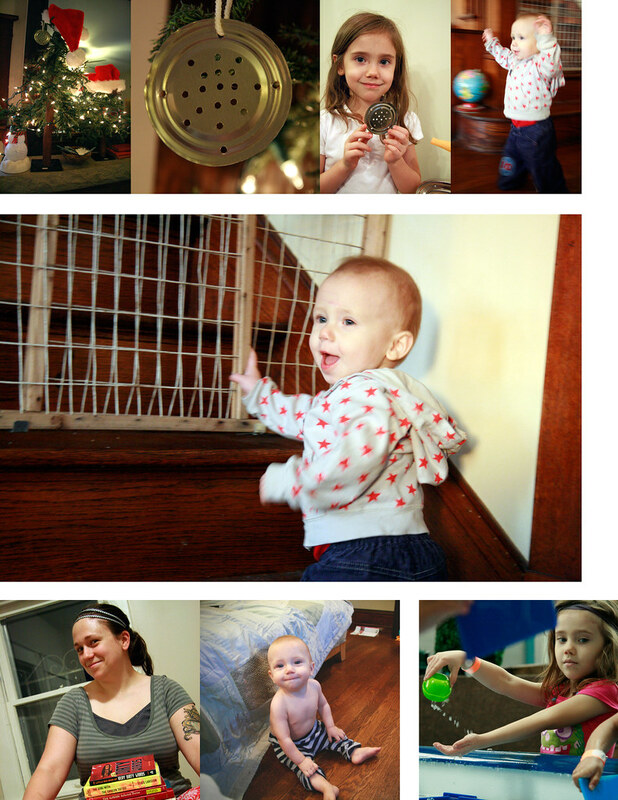 I also make tons of photo collages for pages, like the one shown on the right on the Project Life Week 6 layout below. 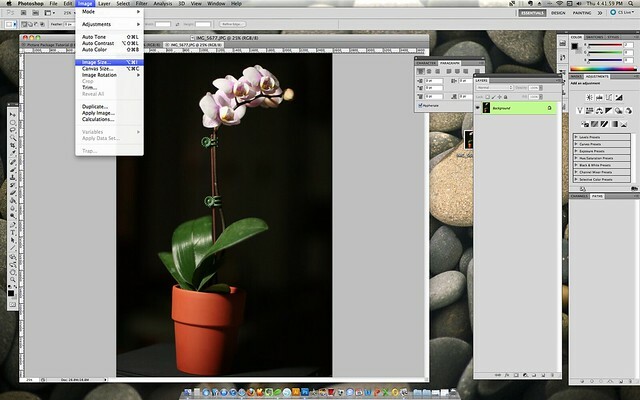 You can download a plug-in, or enhancement, from Adobe that helps you to do this automatically here, but the plug-in won’t help you create custom collages or print in non-traditional sizes. 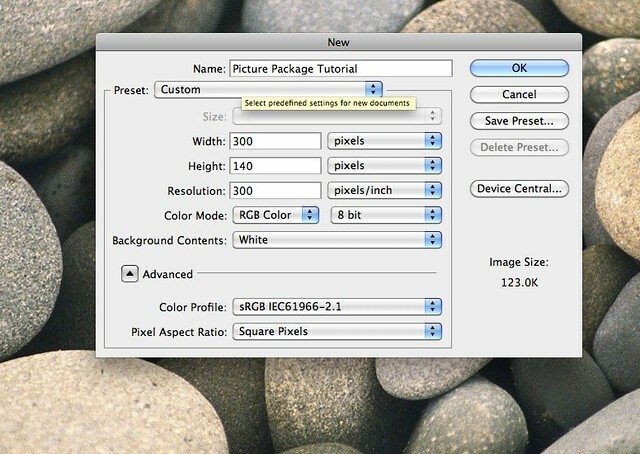 So today we’re going to show you how to make your own Picture Packages manually. A window will pop up. 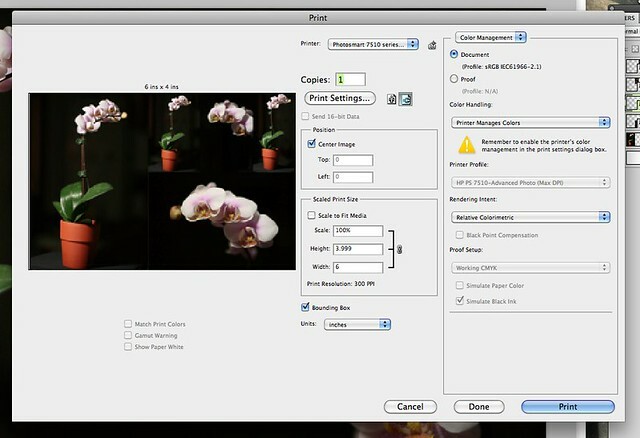 Where it says “Preset”, select the paper size you’d like to use from the drop down menu. If you’re using 8.5 x 11 paper, select “U.S. Paper”. If you’re planning on publishing to the Internet, choose “Custom” and pick your pixel height and width. I’m printing on 4 x 6 photo paper in this example, so I’ll select “Photo”. If you select “Photo”, you’ll need to narrow down the size further. Select the size of paper you’ll be using as well as the orientation of your photo (landscape=horizontal, portrait=vertical). I’m using Landscape, 4 x 6. This next part’s important. See the highlighted portion of the photo above? 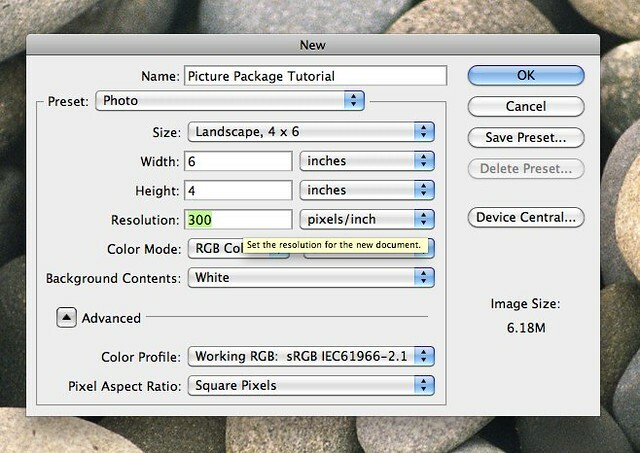 This shows your photo resolution. For printing quality, this number needs to be 300, or your photos will be blurry. For Internet quality, the resolution needs to be 72. The higher the resolution, the less pixilated your image will be. However, the file size will be larger if the resolution is larger (more Megabytes). Now you have a nice, clean canvas to work on that’s the size you’ll be printing with. Let’s get some photos on there. Click “File” >> “Open” and the window above pops up. 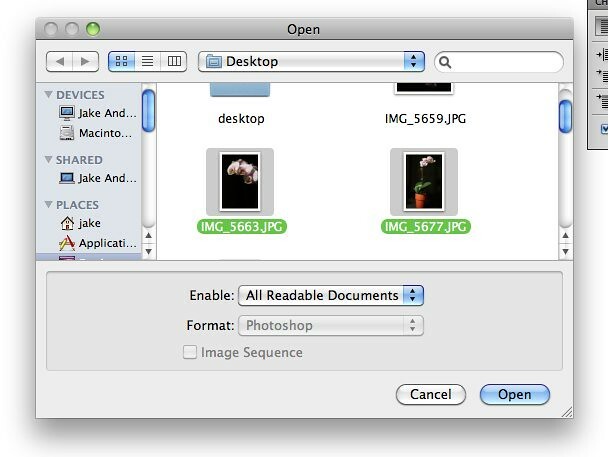 Highlight the photos you’ll like to use and push the “Open” button. Now the 4 x 6 blank document and the images selected are all open in separate tabs. While viewing one of the images, go to “Image” >> “Image Size”. An “Image Size” window pops up. Go to the resolution box, and make sure that it is 300. 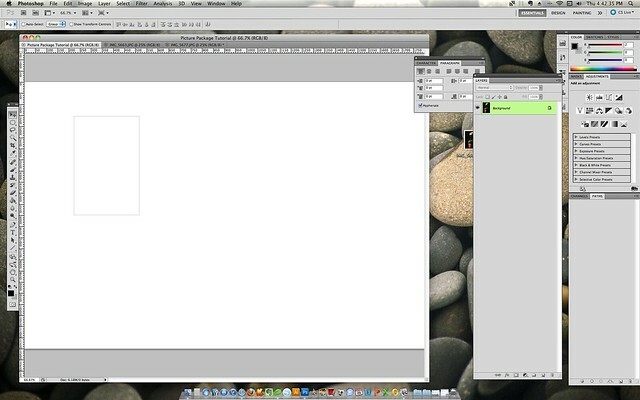 You need the resolution of your image to match the document we’re going to put it in (the 4 x 6). 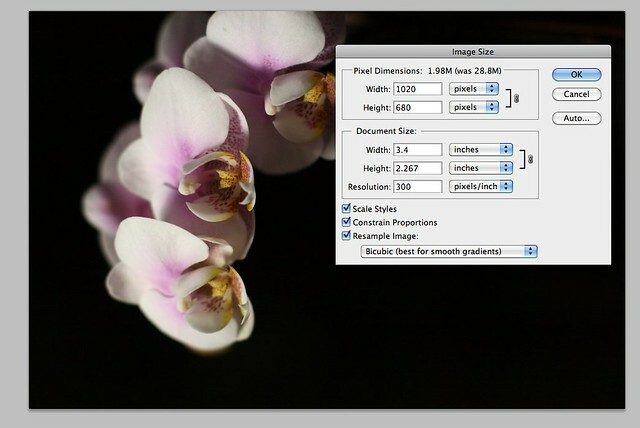 Now change the image size to the dimensions you would like to print the photo. I want to fit two photos on my 4 x 6 paper, so I chose to make this photo 4 inches tall. If you enter height, the width will automatically adjust to keep the proportion of the photo correct, so you only need to enter one dimension. The same happens if you enter the desired width. Once you have the desired resolution and dimensions, click “OK”. The image will now appear smaller. 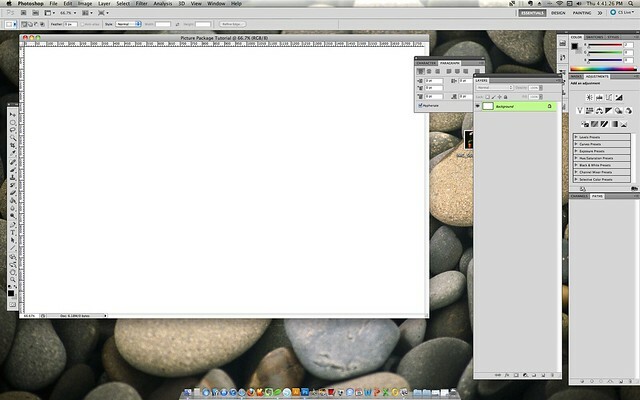 Click on the image, and drag it (a gray outline will appear) to the tab that represents the blank document. Hover over the tab, and the screen will switch to the blank document, as is shown below. See that the gray outline is still there? 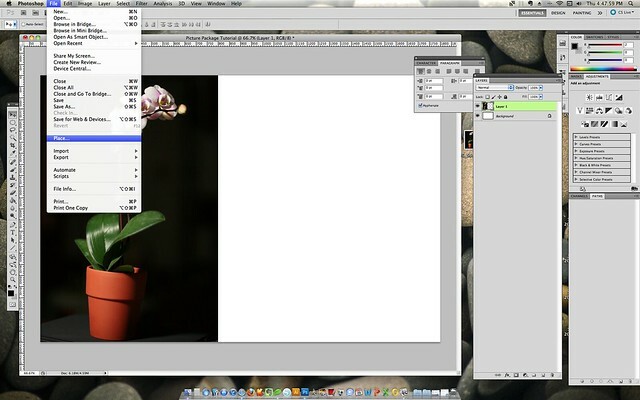 Let go of the mouse and the image will be placed into the blank document. 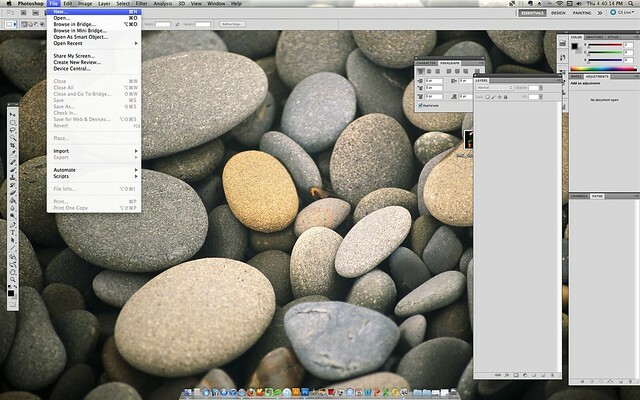 The image will create a new layer in the layer pallet. Remember that the layer that corresponds to this image must be highlighted in order to move the image; in Photoshop you can’t just click on an element to drag it around. Position the image on the blank documented as you want it to be. Repeat this process with the second image, and voila! 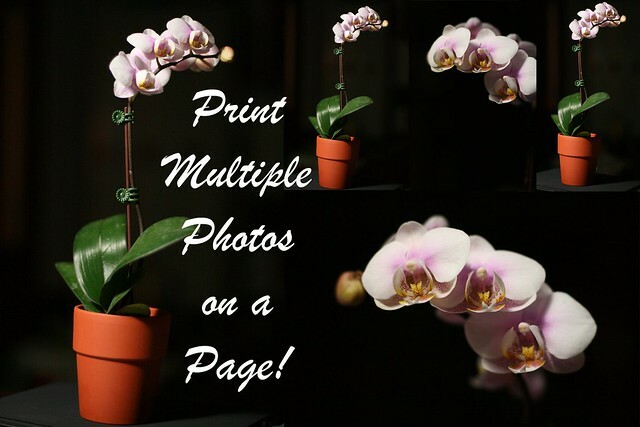 –both images are on one printable document! We’ll talk about printing at the end of this post, but first: a few more tips on collages and photo packages. Notice that, in the above photo, there are white spaces. This is because I measured the images as if I was going to print them out on photo paper to then cut apart. 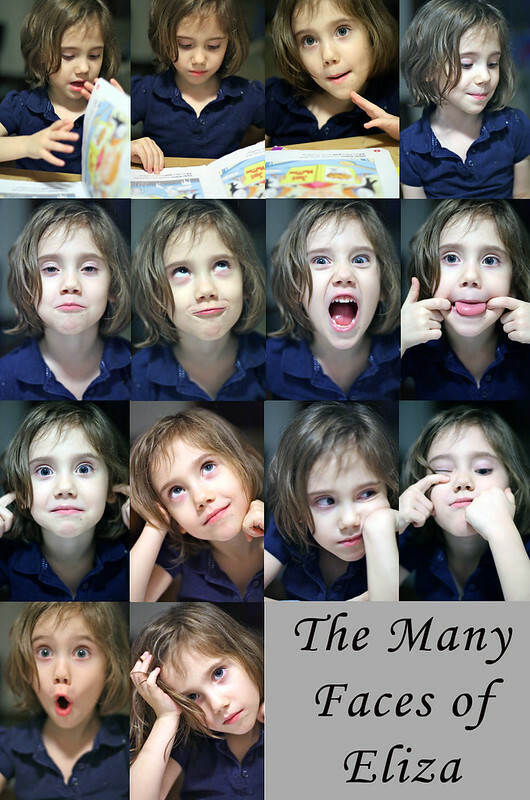 Sometimes you’ll want to make a photo collage instead, with no white spaces. One of my go-to collage layouts for Project Life is one vertical photo and two horizontal photos printed on one 4 x 6 sheet of photo paper, as seen in the lower right corner in the example above. I’m going to show you how to do that! Get out your calculators, this requires a little math. 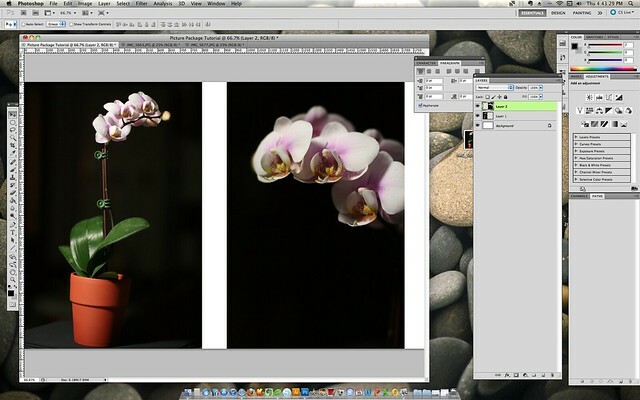 Let’s say that you’ve already placed the vertical photo, 4 inches high, onto the 4 x 6 document. Now you’re ready to place one of the two horizontal photos. 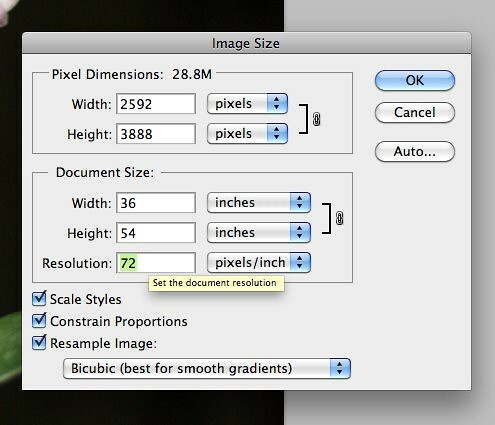 Just like in the first example, we’re going to change the size of the photo by going to “Image” >> “Image Size”. To know how wide to make the horizontal photo to cover the entire document, you need to know the width of the vertical photo. If you look back, you’ll see that the vertical photo measures 2.667 x 4. 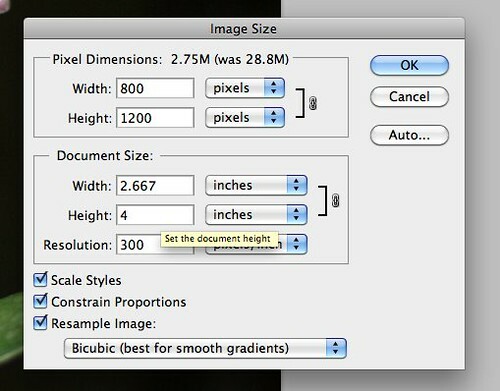 Because your document is 6 inches wide, the horizontal photo needs to be 6 minus 2.667, or 3.333, inches wide. I rounded up to 3.4 inches. 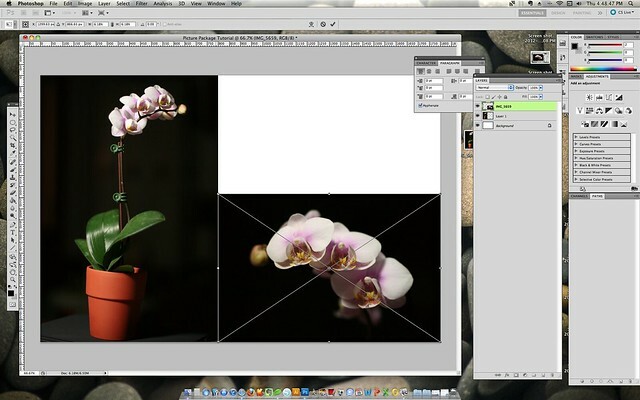 Drag and drop the image into the picture package document as we did with the first example, and repeat these steps for the second horizontal image. The combined height of the horizontal images is more than 4 inches, so one or both of the images will run off of the printable part of the document, or will be “cut off” slightly. I move the images around to see what looks best and try to cut out empty negative space on the bottom of the bottom photo or the top of the top photo (the “cut off” portion that overlaps out of your document space will not show on the screen). 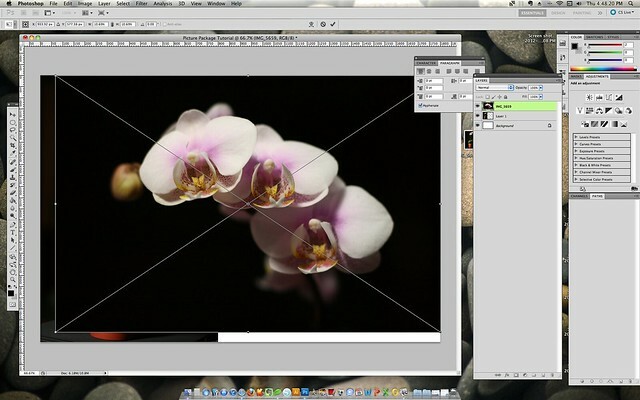 You can also “cut off” one of the images where the two horizontal photos meet, as one will overlap the other. 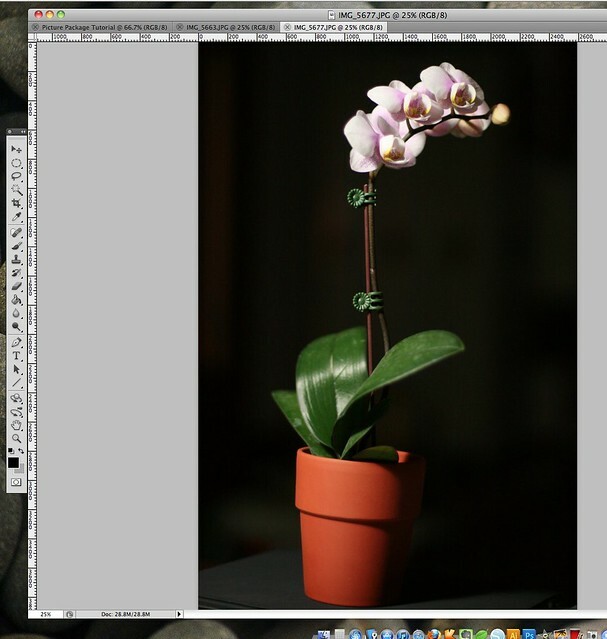 Whichever photo’s layer in the layer palette is “on top” of the other photo’s layer will overlap. 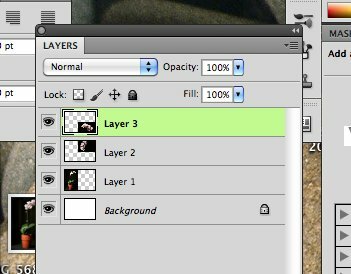 You can reorder the layers by dragging and dropping them in the layer palette. 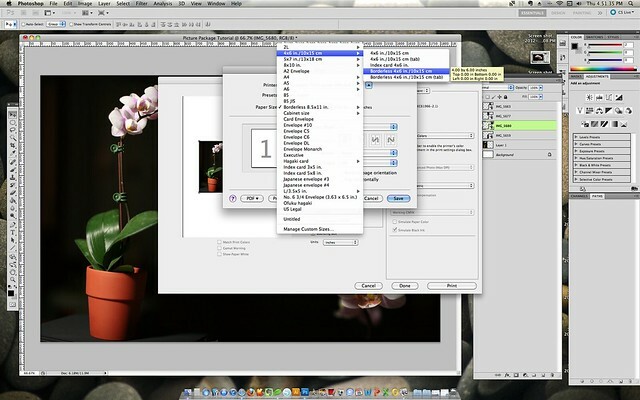 Remember that you can only move an image if the layer for that image is selected in the layer palate. Now you’ve got a lovely collage of three photos. But let’s say you want a collage with even more photos, but you don’t really want to have to measure things out. If you’d rather eyeball things, this next example is for you. 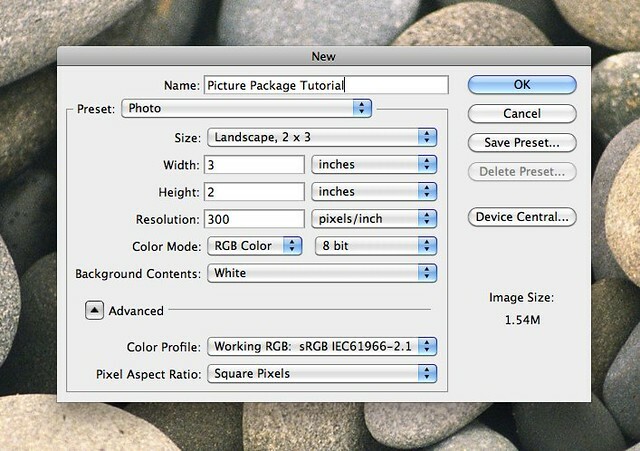 Start again with the 2.667 x 4 image on the 4 x 6 picture package document. Add the next image you’d like in the package by selecting “File” >> “Place”. Choose the photo you’d like to use next and click “Place”. The photo will appear on your document with an outline and an “x” through it. You can now move the image around by clicking on the image and dragging it. 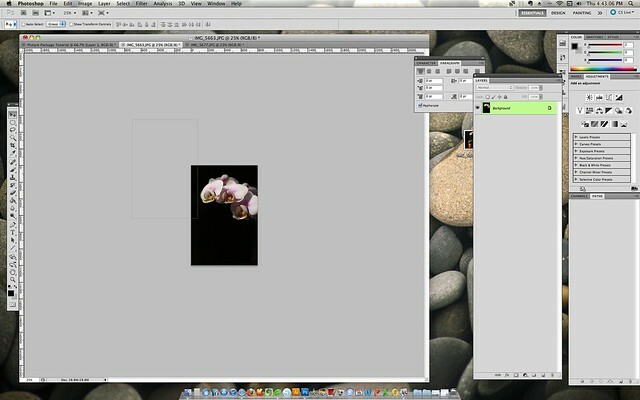 You can also transform the size of the size of the image by dragging the corners and sides of the image. 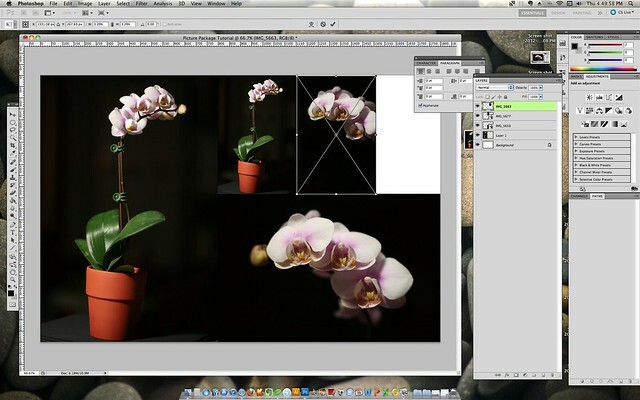 To keep the correct proportions of the image, click and drag one of the corners while holding the “shift” key. 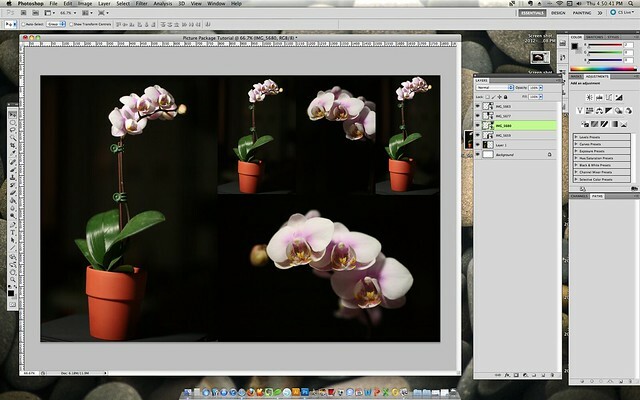 Move and transform the size of the photo until it is just where you want it. Then double click on the photo to place it. 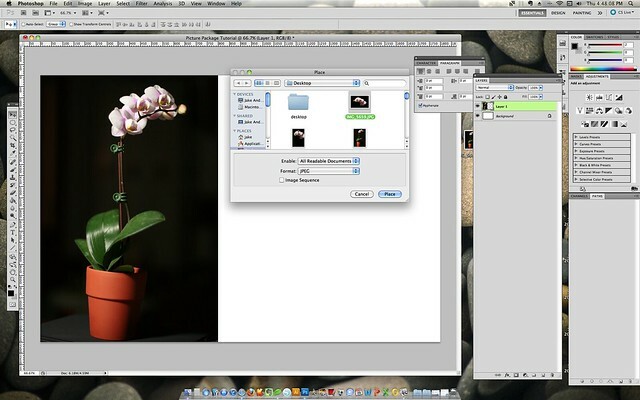 Placing a photo and resizing it this way is the best way to transform the size of a photo if you’re not sure of the dimensions, as it will not ruin the quality of the photo when you change the size. Continue doing this with other photos until all your space is filled. Now I’m ready to print! Because I’m going to be printing on 4 x 6 paper and not letter sized paper, I need to change the print settings. 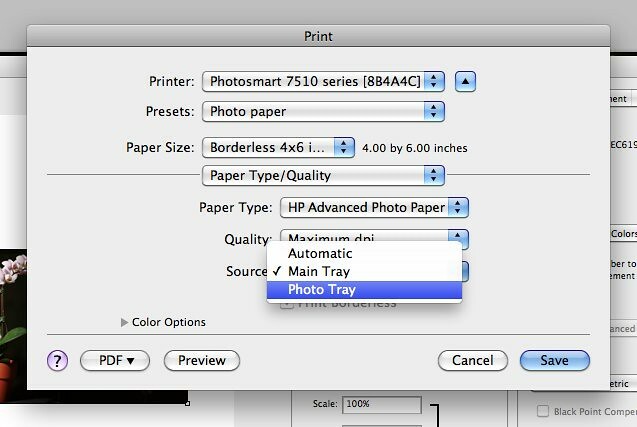 Click “Print Settings” and then select your paper size from the drop down menu “Paper Size”. I select “Borderless 4 x 6″. My printer has a separate tray for photo paper, so I also need to select the drop down menu that says “Layout” and select “Paper Type Quality” to let the printer know where to find the paper I’m using. I choose the type of paper I’m using from the first drop down, increase the quality in the second drop down (I always choose “Maximum dpi” for photos–the printer prints much slower but the quality is much much better), and select “photo tray” from the third drop down if I’m printing 4 x 6. Before printing, always make sure that you have the correct orientation selected nest to the “print settings” button. That’s better. 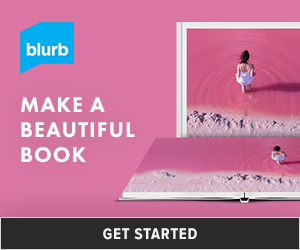 Now you’re ready to print your photo package! If you’re going to post your photo package to the Internet, make sure to flatten the layers first (“Layer” >> “Flatten Image”) and save your image as a .jpg! We hope you find this tutorial helpful! We know it’s one of the most asked about techniques in the Project Life world. Let us know in the comments section if you have any questions! Want more Photoshop from the Nerd Nest? Try our Color Correction Tutorial or our Faux Polaroid Frame Download and Tutorial. Finally got to try this today! I tried the preset way and it worked pretty good. Thank you for pointing the way! I’m so excited that you used this! I seriously do this 3-4 times a week. It’s one of the most useful things I’ve learned. Really helpful, thanks! I got a photo printer for christmas and I’ve been doing project life since the start of january and this has been one of the things that I’ve been trying the hardest to get figured out. I know that if I can get a process down it will make it so much easier to keep going when the initial excitement wears off and also keep it time and cost effective. Glad this helped! I’d love to see what you make with this tutorial; link up when you’re finished! 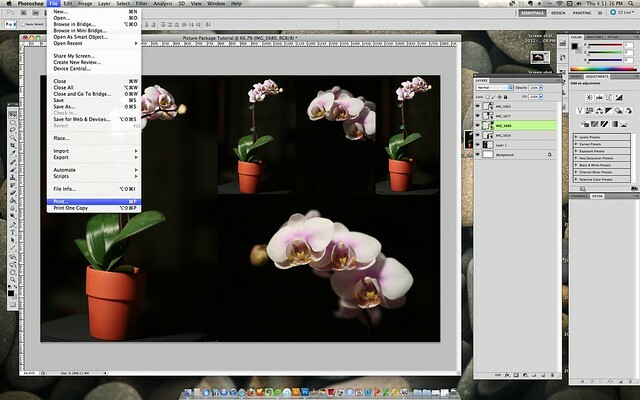 Once I resize the image, it won’t let me drag it anywhere…what am I doing wrong?